On September 20, Orbital ATK's Aerospace Structures Division (ASD) and Airbus Americas celebrated a significant milestone in their partnership supporting air transport customers around the world with the completion of the 100,000th composite part for the A350 XWB program. The 100,000 composite stringers and frames, the equivalent of more than 140 ship sets, demonstrate ASD's ability to meet customers' standards and delivery requirements. 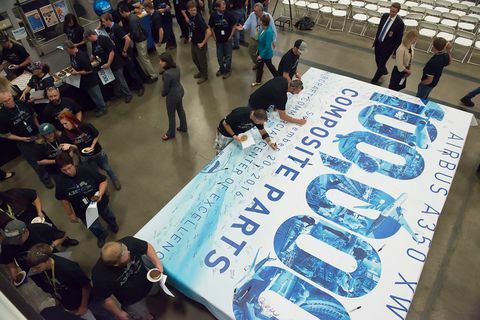 Steve Earl, Vice President and General Manager of Aerospace Structures, Geoffrey Pinner, Senior Vice President - Head of A350 XWB Central Program Management, and Joe Marcheschi, Director of Procurement at Airbus America, joined several Utah state and local dignitaries to sign the 100,000th composite part produced. Steve Earl, Vice President and General Manager of Aerospace Structures at Orbital ATK, Geoffrey Pinner, Senior Vice President - Head of A350 XWB Central Program Management, and Joe Marcheschi, Director of Procurement at Airbus America, joined several Utah state and local dignitaries, including Director of Aerospace and Defense Cluster of the Utah Governor's Office of Economic Development, Marshall Wright, and Clearfield City Mayor, Mark Shepherd, to celebrate both the milestone and the successful partnership with employees. 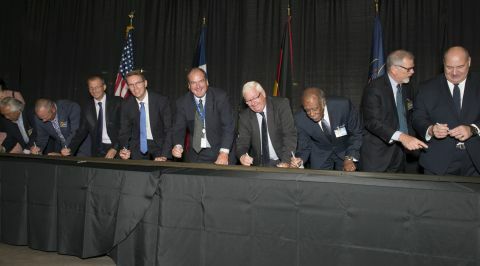 The celebration was held at ASD's Aircraft Commercial Center of Excellence (ACCE) facility in Clearfield, Utah, where the A350 XWB work is performed. "This is not only another significant milestone in our long-term partnership with Airbus on the A350 XWB program, it is also an accomplishment that supports composite manufacturing in Utah as Orbital ATK expects to add hundreds of jobs over the next 20 years," said Earl. 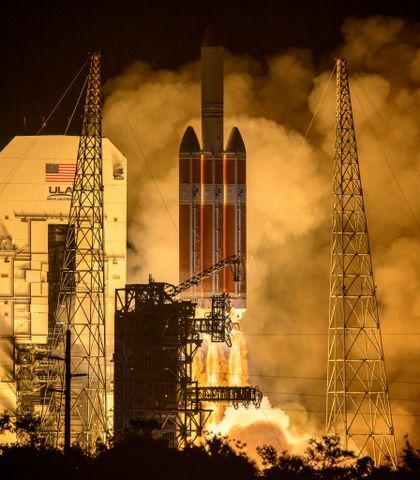 "With the advanced technology and hands-on training we offer, these positions will provide an opportunity to develop high-tech skills to build a long-term career in the aerospace industry. 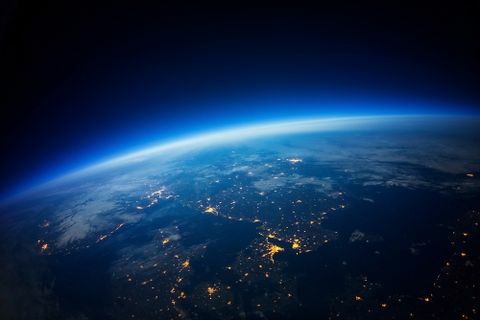 We are proud of our state-of-the-art build technology, excellent demonstrated program execution performance, our great team and our long term successful partnership with Airbus." Airbus' Geoffrey Pinner stated, "As of the end of August, we have delivered 36 A350 XWB, with an additional 810 on order. Orbital ATK's ability to provide high quality parts is an important part of our supply chain and ramp-up. We are proud of the contributions from the highly skilled manufacturing facility in Utah and look forward to our continued partnership on the A350 XWB program." The A350 team sign a banner commemorating the 100,000th part produced for Airbus. The banner will hang in the ACCE facility in Clearfield, Utah. 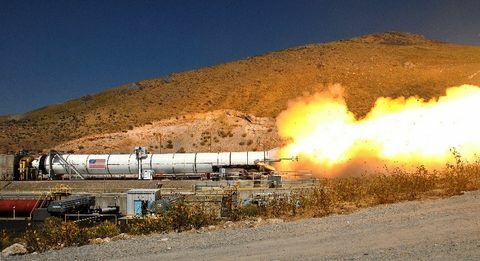 Orbital ATK's proprietary and patented automated stiffener forming machines (ASFM) have been instrumental in the development and manufacture of high-rate production composite stringers and frames and contributed to reaching this milestone. This technology is essential to manufacture the A350 XWB composite stringers and frames, enabling ASD to produce precise, high quality composite components.